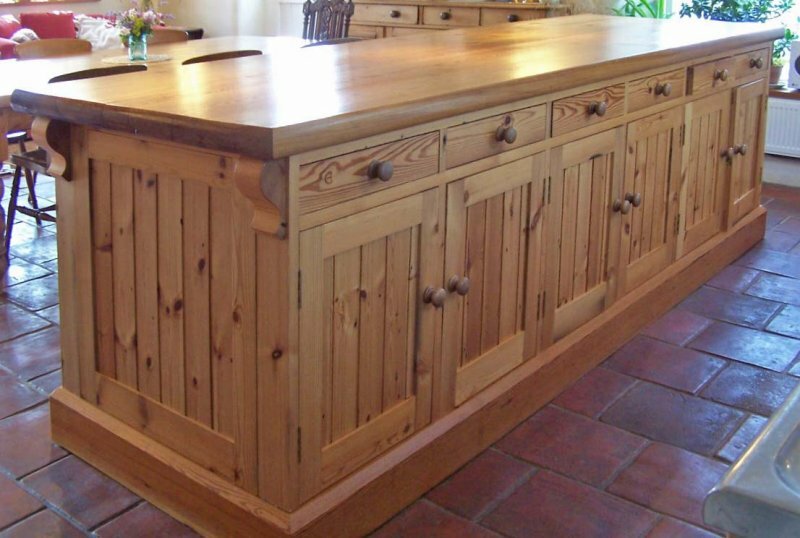 Our bespoke, traditional, country kitchens are all handmade by fully trained, experienced craftsmen in our joinery workshop. Designs and finishes vary according to our customers’ wishes, but a beautifully handcrafted, solid wood kitchen using traditional joints and modern tools is now an affordable luxury. 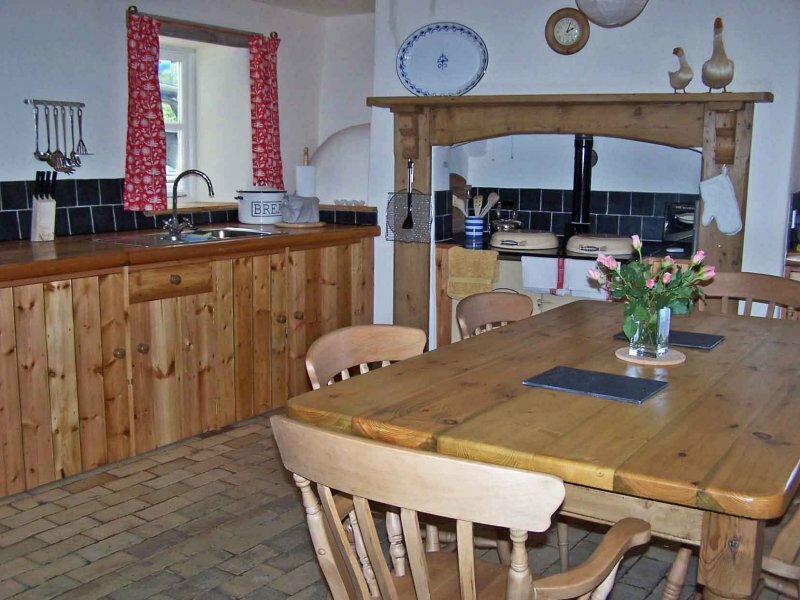 Our traditional kitchens have been designed and fitted in cottages, farmhouses, barn conversions, chapel conversions and even, surprisingly, in modern bungalows were they bring a welcome warmth and character to the building. We have a particular affinity for working in reclaimed wood – a sustainable way of helping to care for our planet. Reclaimed wood has great character and the kind of rich and mellow colour that can only be achieved by time. 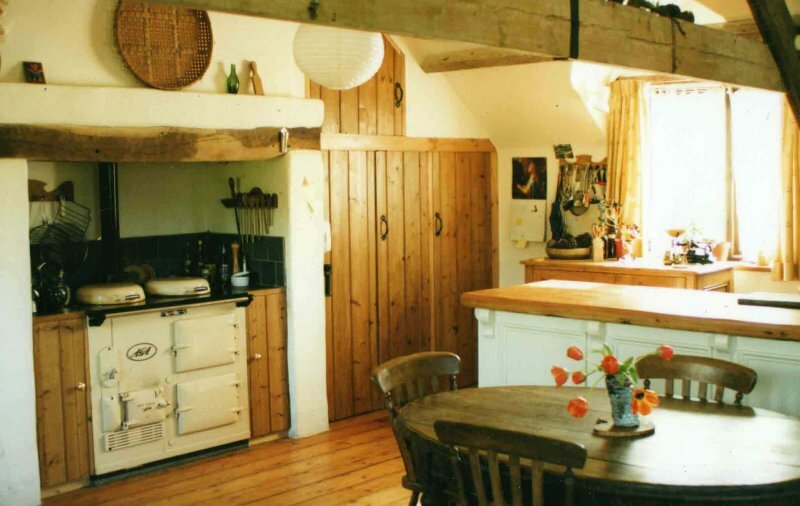 This gives our natural wood kitchens an immediate feeling of welcoming warmth. 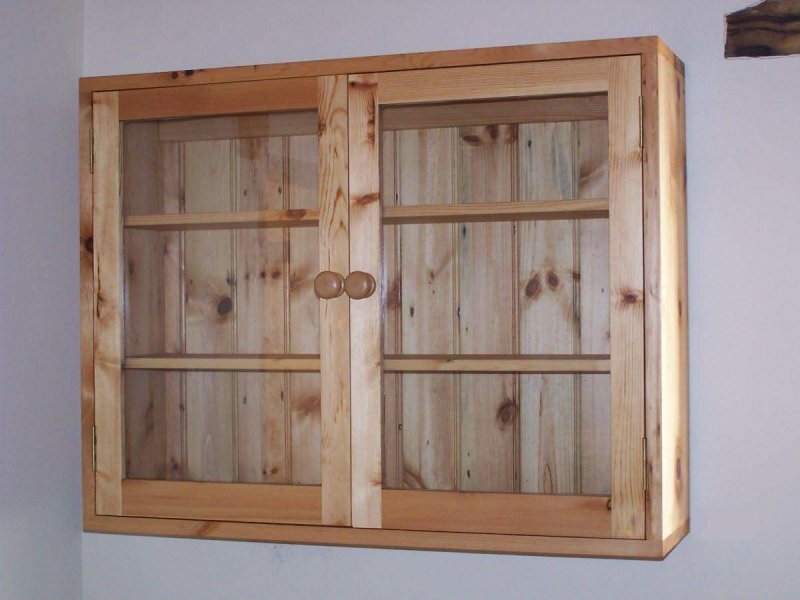 We use a variety of different woods: reclaimed pine, pitch pine and oak; kiln dried oak, ash, beech, and golden pine. 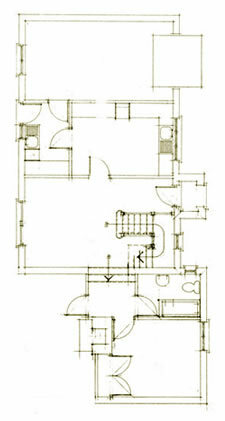 Also new joinery timber, both hard and soft wood, is used where a painted or stained finish is required. We use a selection of waxes and natural hardwax oil finishes as well as natural paints and stains. Not only do these products come in a large range, they are of a very high quality, water resistant and eco-friendly. 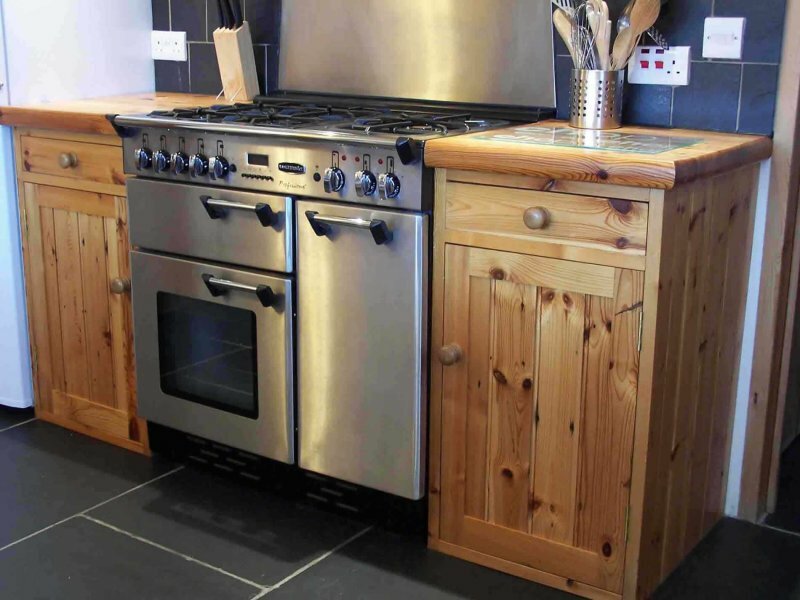 Our solid wood work surfaces up to 3” thick, are treated with a minimum of four coats of durable, hard-wearing, natural hardwax which will withstand a tough working kitchen environment. Tried and tested for seven years in three holiday cottages! 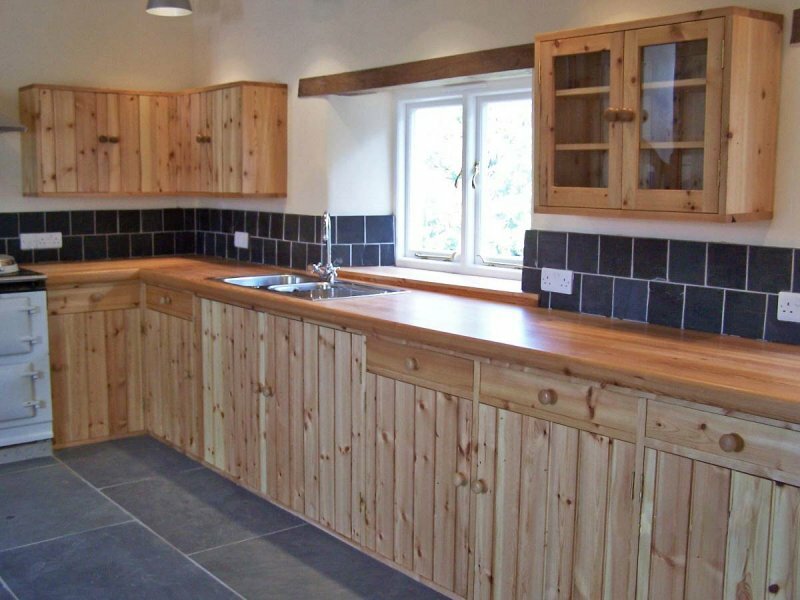 As well as wood work surfaces we are able to supply granite in a range of colours, as well as slate and marble. 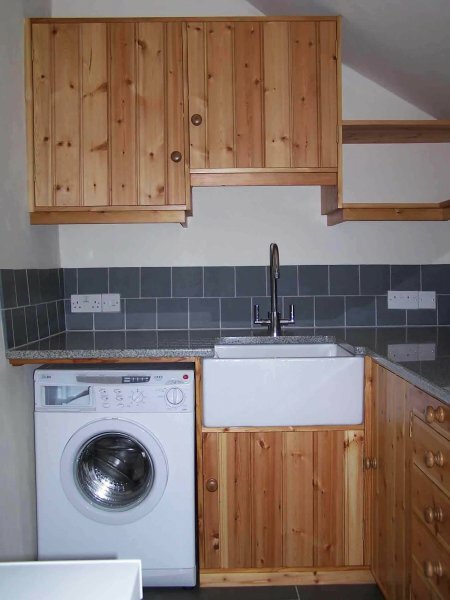 We can build in any integrated units such as cookers and fridges, incorporate all types of sinks, traditional and modern, and any existing features such as fireplaces, alcoves and ranges, for example, Rayburns and Agas. 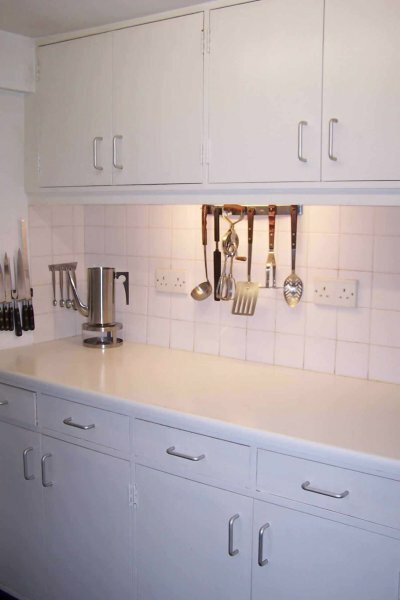 We are able to fill every space with cupboards or shelving thereby creating maximum storage in your kitchen. Our aim is to create, warm, welcoming, yet practical working kitchens built to our client’s specifications that will remain beautiful for many years to come.